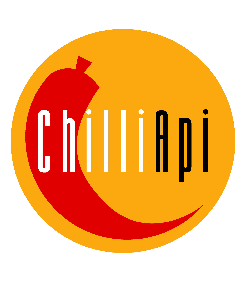 At Chilli Api, we are passionate about food and pride ourselves in bringing you gourmet comfort food made from fresh local ingredients. Since our debut in 2002, Chilli Api has won numerous prestigious awards over the years for its contribution to authentic Peranakan fare in Singapore. Chilli Api runs the full gamut of catering services offering authentic nonya food based on the very best traditions of Peranakan cuisine. Whether it’s a wedding, banquet, birthday, cocktail party, boardroom lunch or business reception, Chili Api has the imagination and expertise to make your event unforgettable. We add a distinct touch to your weddings catering. You will discover our extensive menu with plenty of options at surprisingly reasonable prices. From traditional, exquisite batik settings to modern and elegant setups, we are dedicated to helping you create the most memorable events - you can be assured that we will impress your guests, and your taste buds. We believe food holds immense significance when celebrating milestones and special occasions. And special events must after all, be special. With a variety of cuisines on demand and a knack for customisation, Chili Api is uniquely positioned to provide for all of your catering needs. We are dedicated to perfecting those smaller yet extra special touches, ensuring that every element is thought through to perfection.